One of the things I’ve been making to snack on quite a bit is popcorn, contrary to what you might hear out there, popcorn is not as junk as it seems. It’s actually whole grain and good for you — provided you don’t drown it in butter and too much salt. Because it’s whole grain it’s a good source of fiber and a good source of carbohydrates that are low in calories. It even has antioxidants! You can read more about it here, here and here. 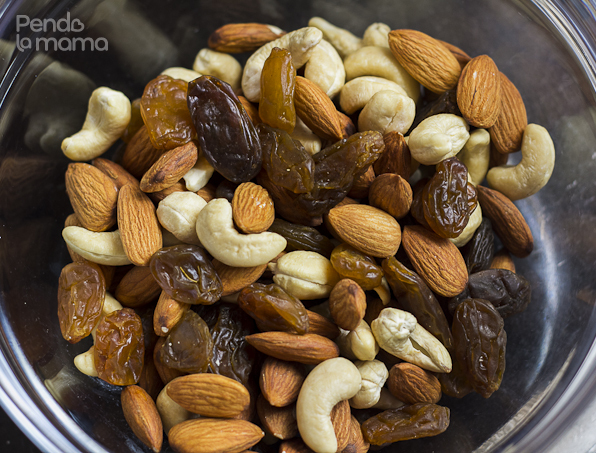 In addition to pop corn, I’ve wanted to make some mixed nut snack and this is the first one: almonds, cashews and raisins. Now everyone knows nuts are good for them. They’re packed with all kinds of good nutrients. But did you know they’re better eaten raw? I remember my father eating them raw ever since I was kid. There were often two batches in the kitchen, one raw and one cooked. He wasn’t militant about it, he often had the cooked ones too but he would say every now and then that he preferred the raw ones. One day I started eating the raw ones just like him. 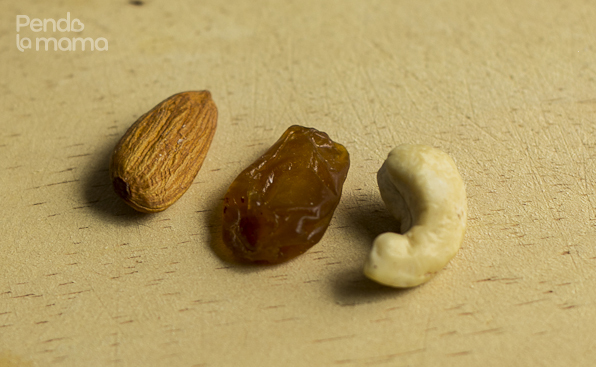 Almonds, peanuts, cashews — I liked them! So when I made this snack I opted not to cook the nuts. Needless to say my husband wasn’t keen on the idea of raw nuts. He complained about it for 1 minute and then proceeded to finish a whole bowl of them! Ha! (^_^) Next time they’ll be cooked, just for him. I did look for some information on eating raw nuts and discovered that it is probably the best way to eat them. They contain healthy oils like the omega 3 oils that you’ve heard a lot about. But cooking the nuts destroys the oils, so you lose some of the nutrients. They are also a very healthy snack for people who are watching their weight, they have the good fats. But don’t take it from me, read up on it when you have some time. You can also look at some of the articles I read here, here, here and here. So what healthy snacks have you been eating lately? We have been trying to snack on healthy food. Hubby and I love snacking on peanuts and cashews. Funny thing, I don’t mind raw cashews or macadamia nuts but I am not too excited about raw peanuts. I also chop beetroots in bite sizes to snack on.